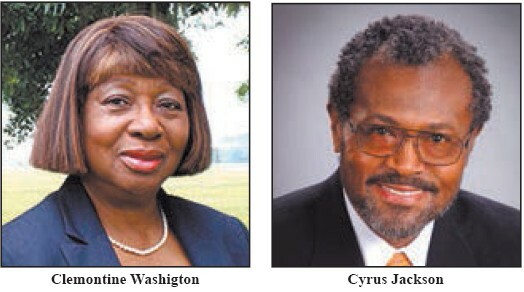 Savannah State Univ ersity (SSU) alumni Clemontine Washington, Ed.D., and Cyrus Jackson will serve as the homecoming parade grand marshals on October 29. The parade will begin at 9 a.m. and follow a route in downtown Savannah. Washington was a star athlete and earned her bachelor’s degree in health, physical education and recreation in 1966. She retired in 2003 after 37 years as a teacher, coach and administrator, and is currently the mayor of Midway, Ga.
A native of Savannah, Jackson was the first Savannah State student to receive a bachelor of business administration degree in marketing in 1977. In 1992, he launched Professional Products Unlimited, Inc., and began manufacturing his own line of hair care products. The honorary marshal is Barbara McGhee ’66, a retired school teacher and current tutor coordinator at Savannah Technical College. The festivities will continue at T.A. Wright Stadium for a home football game against Howard University. Tickets are available from www.ssuathletics.com. All events and details, including the parade route and parade applications, are listed at www.savannahstate.edu/homecoming.